Can you take the heat for children with cancer? Nancy Chang Restaurant has added the Spicy Bucket Challenge to their menu where $10 from every bucket sold will be donated to Why Me. Buckets are $40 for 40 skewers including shrimp, scallops, calamari, fish balls, tofu, zucchini, mushroom, broccoli. 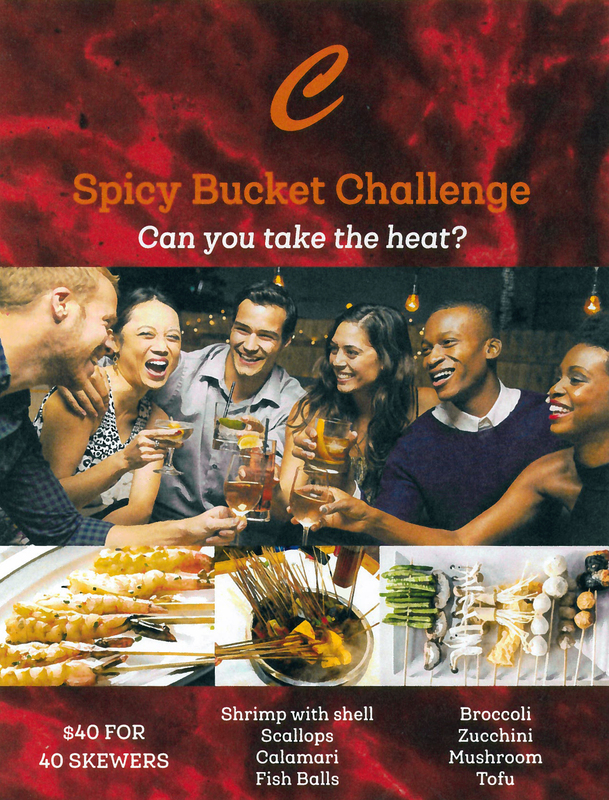 The Spicy Bucket Challenge starts on October 17th and is ongoing throughout the year.